You have got the exceptional chance to make something really special: beautiful, interactive underwater creatures that are media-driven. These luminous creatures will be exhibited in the canals of Delft. Multimedia artist Gabriela Prochazka from Prague will guide you through the process. The workshop provides you the opportunity to collaborate in the series of marine lifeforms made by Gabriela Prochazka, that will light up the canals of Delft to unveil the rich underwater world.You’ll be using a combination of lights and open source programming to achieve a generative light show, which is reminding us of deep sea creatures. It’s an effort of extending biological evolution to simulate a new life form. *The evening slots are meant to test the underwater creatures with evening light and in the canals of Delft. 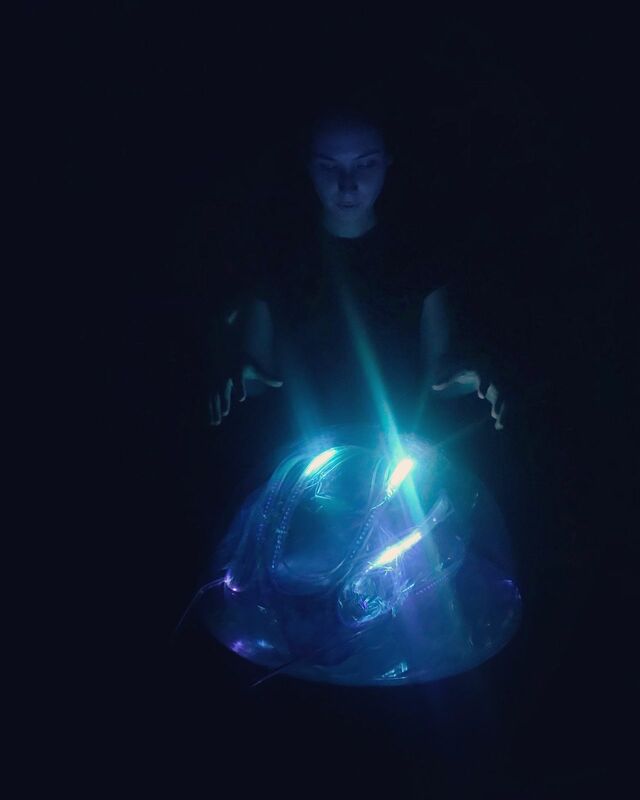 Gabriela has a focus in light art and immersive works, and produced several underwater artworks which have surfaced in waters across Europe including the Signal Festival in Prague, RGB Light Fest in Rome and they were also spotted at Towing Tank No.1 here on campus. The results from this workshop will be exhibited in the canals of Delft during HighLight Delft Festival on 17 November. HighLight Delft is the festival for light art, design and light experiences. Where upcoming designers, artists and students show exciting and innovative projects, stretching the boundaries of the light spectrum. In collaboration with Crossing Parallels & HighLight.